English computing stalwarts, RM announced that they have the exclusive contract to distribute new HP 2133 Mini-Note PC to schools, colleges and universities in the UK. A mere day before, HP global had announced the machine would be sold into education. RM — or Research Machines as they were originally know — has made a strong business by focusing on educational and governmental sales. There’s been a flood of portable computers following the innovative approach of the One Laptop Per Child (OLPC), launched in 2005. The aim on OLPC was to provide a machine, configured to run Linux, that would sell for a mere $100 – a radical idea back in 2005. By pricing it at such a reasonable price, the hope was that children Worldwide would be able to gain from the advantages that computers can bring – at the very least not be left behind by the digital divide. Since then many lower costs portable computers have been realised, such as the Elonex £99 laptop and Asus Eee. 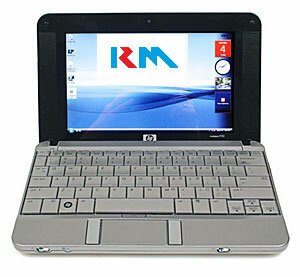 The HP 2133 is a bit more expensive, with the entry level machine being priced at $499, rising to $749.